Perfect Fit 9ct platinum 0.75 point diamond cluster bridal set. A large rectangular cluster made up of princess cut diamonds and brilliant cut diamond edging with pave set diamond set shoulders. 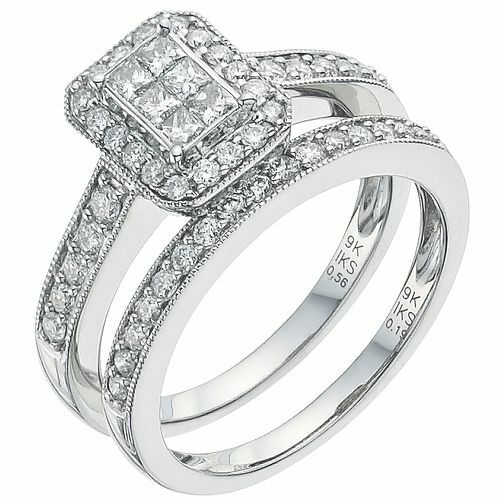 The matching wedding band also has matching pave set diamonds for added glits and glamour.